Located in Omaha, Stephen Center HERO Program is one of the best substance abuse treatment facility in that area. 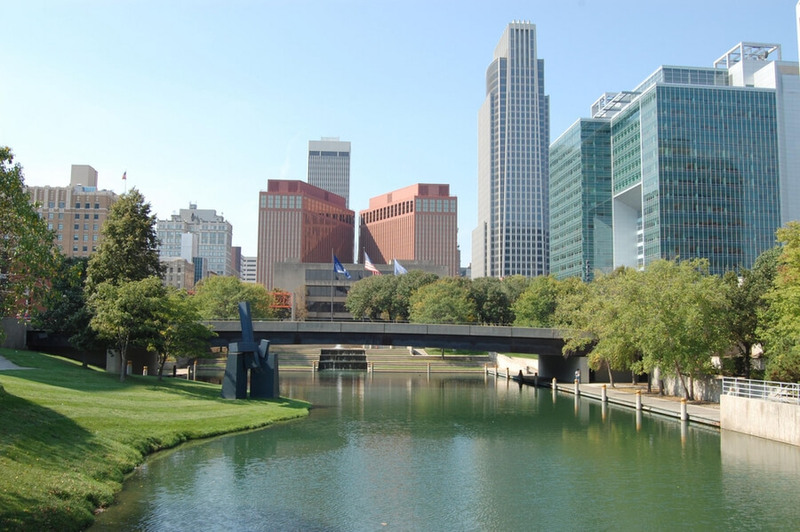 The Stephen Center HERO Program founded since 1984 is one of the most reputable landmarks in Omaha Nebraska. The Stephen Center HERO Program specializes in providing residential substance abuse and addiction treatment services for financially challenged patients. The Stephen Center HERO program is a part of a greater organization, the Stephen Center in which the organization has a plethora of programs which includes the Stephen Center HERO inpatient Program, a homeless shelter, transitional living for men, an outpatient care and permanent housing. The residential treatment facility focuses more on dual-diagnosis support and co-occurring disorders. The facility uses evidence-based research and treatment services together with therapy programs which can help patients overcome dependency. The Stephen Center HERO Program is licensed by notable agencies including CARF. So far, this facility has helped countless patients find a way to a new sober life. This facility has a capacity to hold up to 64 individuals, 32 for female and 32 for male clients. Each client is housed in a gender-specific apartment which can hold up to 4 residents per apartment. The apartments have two furnished bedrooms, a bathroom, two dressers, and twin beds. Each individual is assigned three dresser drawers. Client’s are given laundry privileges on campus. The facility has a thrift store in which clients can exchange vouchers for clothes and necessities. Smoking is permitted in specific places in the facility. All units have a small kitchenette with a microwave, refrigerator, and a sink. Due to a limited amount of space, clients must keep their groceries at a minimum supply. Meals are served three times a day by the facility in the dining hall which also has vending machines. At Stephen Center HERO Program patients are offered various treatment options after they undergo both physical and mental evaluation by a qualified therapist to determine which treatment option would be best effective in the recovery process of their patient. After which their therapist drafts an individualized plan to suit their patient’s needs for the duration of their stay or attendance in the facility. Medically assisted detox is not offered at this facility, but on request, patients can be referred to the nearest medical center that offers the services. After undergoing both physical and mental evaluation, the patients admitted into Stephen Center HERO Program are given individualized treatment options and therapy choices which are drafted by the facility’s therapist at the same time to ensure it works effectively on their patient’s individual need. The therapy choices offered by this facility have been proven to be effective in their patient’s specific individual need for the duration of their stay. Each and every therapy organized by this facility is handled by a licensed and experienced professional. Stephen Center HERO Program founded in 1984 in Omaha Nebraska, has been operational for over 34 years providing its patients with one of the highly recommended and experienced substance abuse recovery treatment services. This facility offers a list of treatment and therapy options which have been proven to be effective in the recovery process of patients in need of the services. Having a team of qualified staffs who are devoted to their job, this facility is one of the best rehabilitation centers in Nebraska and has a lot of success stories to back up their claim. With a team of experienced and licensed nurses, CADCs, Case Managers, Psychiatrists, therapists, and pharmacists working as their staffs, Stephen Center HERO Program offers its patients with one of the best recovery treatment services in Nebraska. The staffs at Stephen Center have years of experience of providing treatment and they are a qualified team of professionals who handle alcohol and drug addiction issues generally.